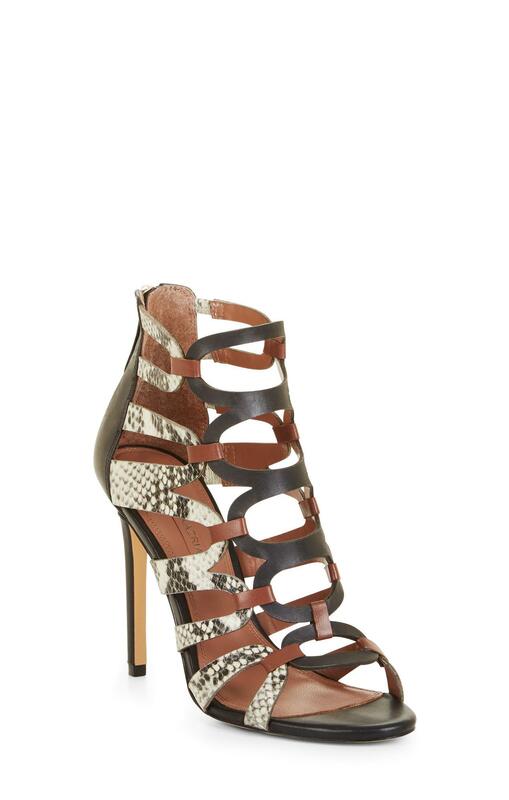 We check over 450 stores daily and we last saw this product for $150 at BCBGMAXAZRIA. This skin-baring pair has been designed with curved straps cut from textural leather and is detailed with python embossing for an exotic edge. We think they're best shown off with higher hemlines.